You really only need one lemon tree to grow lots of lemons and we are going to show you how to grow them. The first tip, and most important is where you plant your lemon tree. Lemon trees need lots of sun, and prefer an open position. In cooler climates look for a position where the lemon tree is protected from cold winds and gets as much sun as possible. Here we have a tree that produces lots of lemons and it is growing in a sunny corner. In cooler climates good sun through winter will keep the tree producing well. Lemons do not like frosts. 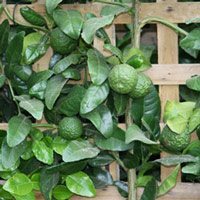 Lemon trees need protection from frosts, in the home garden it can be a good idea to plant a lemon tree next to the house or a wall where some radiant heat will protect the lemon tree from frost. Clay soils should be worked with organic matter and gypsum. Once established lemons are a reasonably tough plant, occasionally deep watering and fertilization with a citrus fertilizer will help promote growth and fruiting. Lemon trees will grow better where they do not have any competition around the root system. They have shallow root systems, its fibrous and is great at taking up moisture. To keep the root system happy, apply mulch regularly, and apply a deep mulch 6 inches or 15 cms deep keeping it away from the trunk of the tree itself. The mulch will encourage better root growth and will protect the roots from both the cold of winter and the heat of summer. A good mulch will break down and provide nutrients that the lemon tree loves. Avoid using fresh mulch, as this can sap the nitrogen from the soil. Fertiliser is important, you can use a granular slow release type available at most nurseries, or you can used aged animal manure, chicken manure, cow manure etc. The advantage of the granular type is that is a complete fertiliser with all of the trace elements. However we find that cow and chicken manure works well for us. Watch for yellowing leaves, as this is a sings of mineral deficiency. Usually manganese or zinc deficiency. In this case use the granulated fertiliser or a trace element fertiliser until the problem resolves. Apply the fertiliser on top of the mulch so as not to burn the roots, and water in well. You can then top up the fertiliser. 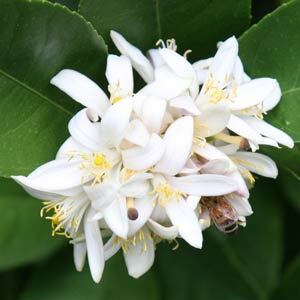 When the lemon tree begins to flower, ensure that it is getting adequate moisture. If you have mulched well, you might not need to water the plant at all. However in very hot climates, you may need water regularly. Simply push you finger down into the soil to see if the soil is moist. General care of the tree involve removing any fruit that drops to the ground, this reduces the chances of disease. Also prune any growth that is touching the ground, this also helps prevent diseases. Watch out for swellings on the stems as this can indicate Gall Wasp, which will need to treated. Avoid using chemicals as these will kill all of the beneficial insects as well as the problem ones. With Gall wasp, simply prune away the infected part and burn it. Basic care of Lemon tree varieties applies to all of popular in Australia. They are the most popular of all home grown fruit trees and are easy care in the right conditions. Eureka Meyer and Lisbon Lemon Trees, all have different qualities, and will fruit a slightly different times. Lemons are originated in India and then were imported to the Mediterranean, so lemons are cold sensitive, probably the least tolerant of cold of all citrus. The ‘Eureka’ lemon is originally from California. This is a larger lemon with more pith, and tends to fruit all at once. ‘Lisbon’, originated in Australia. It popular because it fruits over a long period, excellent for the home garden, but it is a larger tree. The Myer lemon is from China. This is a smaller tree, (pictured in flower at right) also good for home gardens because of its size. Again tend to fruit all at once. Probably the best lemon for growing in a pot. Dwarf lemon trees are also available. Lemon trees can be grown in pots or containers, the Meyer lemon is best suited to this. We look at diseases, pests, yellow leave, planting and general care for lemon trees. Lemon Trees do not need a lot of pruning, in frost free areas prune lightly to keep in shape at any time of the year. Remove any dead or damaged growth and prune to shape, remember that lemon trees can fruit all year long in warm climates, so don’t cut of the young fruit. When to pick lemons : Lemons should be picked when they have reached full size and color. All lemon trees are susceptible to diseases and pests, so whether you are growing a Lisbon, Eureka or a Meyer the problems, and solutions will be the same. Leaf Curl on lemon trees can be caused by a number of factors, to much water is one factor that will cause the leaves of a lemon tree to curl. Leaf miners are another (see below). Gall wasps lay their eggs under the bark of the lemon tree, this creates a thick lumpy appearance. Gall wasp infestations should be pruned off if possible, if not you need to cut or or scrapped back, the material removed should be burnt. Scale. Scale can be treated by spraying with white oil. These are a black aphid that can be hosed away are sprayed with a pyrethrum based spray. Young leaves that turn a silvery color and come distorted may be infected by leaf miner, cut off and burn affected foliage. If the leaves on the lower part of the tree are yellow it is probably poor drainage. Solution.Use a specialist citrus fertilizer to add nutrients. Check the ph of the soil with a ph kit. Used a citrus food to help adjust the soil, if the ph is way out consult you local nursery for soil additives to help adjust the ph. Insects such as spider mites can also cause problems, check by examining the leaves, especially he underside, check for any sign of damage, or shake the leaves over a sheet of white paper and see if any evidence of mites is apparent. These sap sucking insects can be controlled with a spray of white oil. Leaving fruit on the trees after it has ripened is not recommended, you will find that this can lead to less fruit the next season and disease. Control weeds beneath citrus trees by weeding well before planting, weed matt or mulch can be used to help prevent weeds. Ideally the area to the drip-line will be weed and grass free.